This is Paradise Elementary School Today. 8 out of the 9 schools in Paradise are gone. 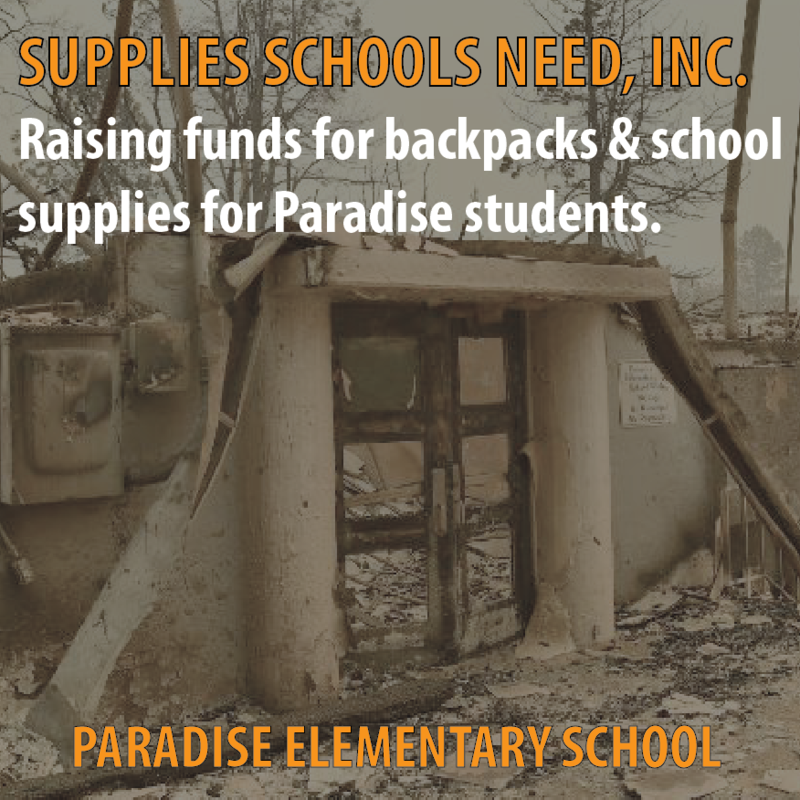 Help us to raise at least $10k in funds to provide students in the Paradise community with much needed Backpacks and School Supplies. We ask that you help us achieve our goal by donating today. Every bit helps and we know the community of Paradise will appreciate your donation. 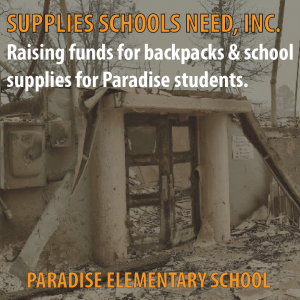 Please click this link to Donate Here to help us help the students of Paradise. With public school funding not being what it was, there is a growing concern that the supplies our children need to achieve success are not available. SSN is working to change that. We are dedicated in our mission to provide non-profit schools in the Bay Area with supplies they currently are not receiving but are necessary to achieve a proper education in the communities we live in.